Rather than a true 50:50 joint venture, however, the new venture – FIFA World Cup Qatar 2022 LLC – will be held 51% by the Zurich-based body, with the Qatar 2022 LOC left with a minority 49% shareholding. Further underlining where the real power is likely to reside in the partnership, FIFA will also have a majority on the new venture’s nine-member management board, with secretary general Fatma Samoura joined by her deputies Zvonimir Boban and Alasdair Bell, as well as Colin Smith, chief tournaments and events officer, and chief legal officer Emilio Garcia Silvero. From the Qatari side, Hassan Al Thawadi, involved in the tiny nation’s ambitious World Cup project from the outset, will chair the entity, with Nasser Al-Khater acting as CEO. Also on the management board will be Qatar Football Association vice president Saoud Al-Mohannadi and Yasir Al Jamal, who is chairman of the operational office and vice chairman of the technical operational office of Qatar’s Supreme Committee for Delivery & Legacy. The new venture – whose management board met for the first time on Tuesday – is a limited liability company. At past World Cups, Local Organising Committees, set up for the purpose of hosting and staging the event, have tended to be created by the football association of the host nation. On the face of it then, FIFA, which already controls the broadcasting rights that constitute the most lucrative World Cup revenue stream, appears to have assigned itself 51% of any economic benefits that might accrue from on-the-ground delivery of Qatar 2022. However, FIFA says that the LLC is set up as not-for-profit and that it will be whole funded by FIFA as purely an operational body with no focus on commercial activity. It’s focus is on streamlining operations. The new structure does raise the question of what might happen if the tournament is ultimately extended to 48 teams, with additional matches staged – notwithstanding current severe regional tensions – in some of Qatar’s Gulf neighbours. Might these countries also end up with a stake in the new venture? Samoura this week placed the emphasis on the expected operational advantages of the new structure, saying the joint venture aimed to “reorganise the way we work at the operational front and avoid inefficiencies”. 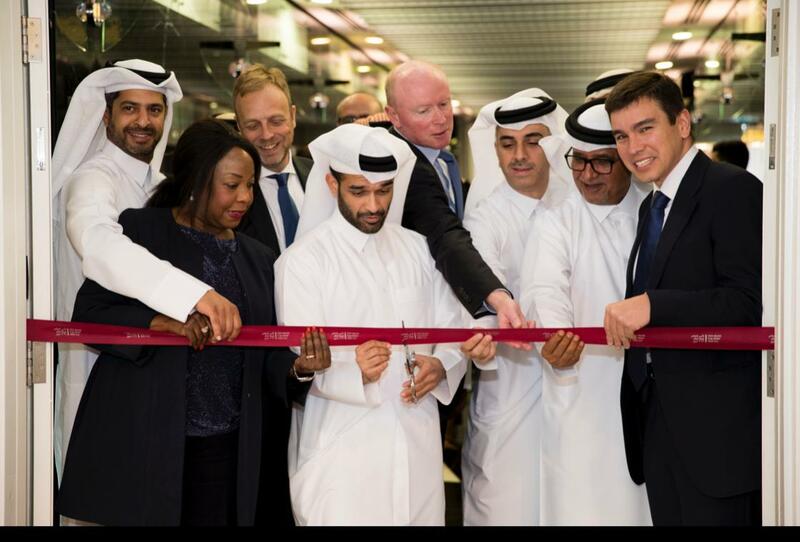 Samoura said she was “convinced that this new approach to planning, delivery and legacy, always hand in hand with our colleagues based in Qatar, will help to ensure that the World Cup continues to be the most eagerly awaited event by billions of fans worldwide”. On the Qatar side, Thawadi emphasised that formation of the joint venture came at a “strategically important time on Qatar’s World Cup project, as we shift our focus from delivering stadiums, training pitches and the transportation required for 2022, to fan and player experience and event operations. “I am confident that the combination of FIFA’s extensive tournament experience, and our own tactical experience and the nine years’ hard work already invested in the project, will ensure that the first FIFA World Cup in the Arab world is one of the best ever,” Thawadi said. FIFA’s Smith, the new venture’s managing director, argued that the “continuous growth and complexities of a FIFA World Cup and the need for integrated involvement of all key areas across a host country has made it clear that a more efficient and optimised operational structure is required”. With the lion’s share of the next World Cup in 2026 already earmarked for the United States, it is hard not to wonder if the world’s most powerful nation will similarly be content with a minority stake in the entity that will eventually deliver that tournament. FIFA told Insideworldfootball that “in relation to future editions, we believe that the combination of international experience and local knowledge is a recipe for success”.